German University in Cairo - German University in Cairo has ranked 2nd Globally in L’Oreal International Brandstorm Competition 2018! German University in Cairo has ranked 2nd Globally in L’Oreal International Brandstorm Competition 2018! The global ranking of all teams participating in L’Oreal International Brandstorm competition 2018 finals has just come out, and our Team ‘KISS’ from German University in Cairo - Egypt has proudly ranked 2nd Globally in the CSR category out of more than 50 participating teams internationally in Paris! L’Oréal Brandstorm is the ultimate business innovation competition for university students globally, providing a unique opportunity for students to unleash their creativity and entrepreneurial skills, and to apply their ground-breaking ideas to one of L’Oréal’s international brands or divisions and its distribution channels. 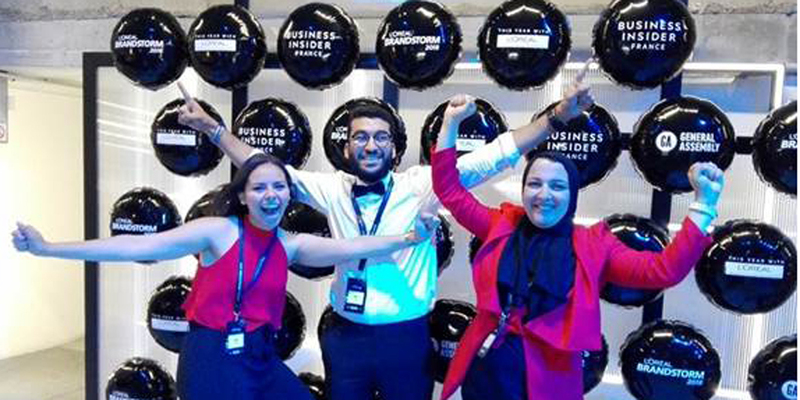 Egypt’s team from GUC – who is now joining as interns at L’Oréal - was qualified to compete in this year’s international finals against more than 150 participants in Paris after winning the National finals in Egypt against more than 80 teams from all over the country. The team’s project has received high scores in terms of the 4 criteria for judging and proved themselves amongst the international teams.